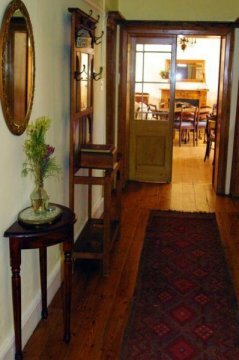 Aan de Doorns is a historical Cape Dutch, thatched farmstead with spacious "art & antiquity" appointed en-suite bed rooms. For families we have two semi-self-catering family units and enough parking for water sport enthusiasts. 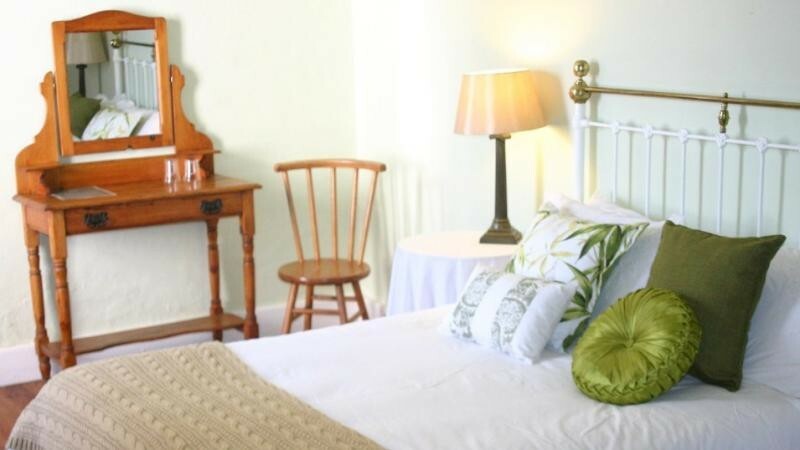 Full English or Continental breakfast your choice, breakfast is served in the ambience of true heritage hospitality with preserves and bread from the locally community. Breakfast is served from 7h30 till 9h00 Mon-Sat. and 8h00 till 9h30 on Sunday. In summer the patio, gardens and pool area surrounding the homestead are ideal for relaxation under the ancient pepper trees to enjoy wine filled sun downers. Our location offer magnificent views of the surrounding mountains (Stettyns mountain, Du Toitskloof, Hex River Mountains, Keerom, Langeberg) farm land, mainly vineyards and spectacular sunsets. The winter is for romantics and those that can enjoy a glass of good locally produced wine next to a log fire in the cosy reading room. Aan De Doorns is conveniently situated 7Km on the R43 from Worcester, an ideal starting point for foreign visitors to explore parts of the Breede river valley, Route 62 and the R43, or for family and friends to breakaway for a relaxing weekend from their busy schedule. Worcester boasts the largest brandy distillery in the southern hemisphere (tours can be arranged). Come share in the tradition of a warm and inviting "farm living" that will evoke memories of bygone years and carefree childhood this we call heritage hospitality? and you will enjoy a memorable experience?